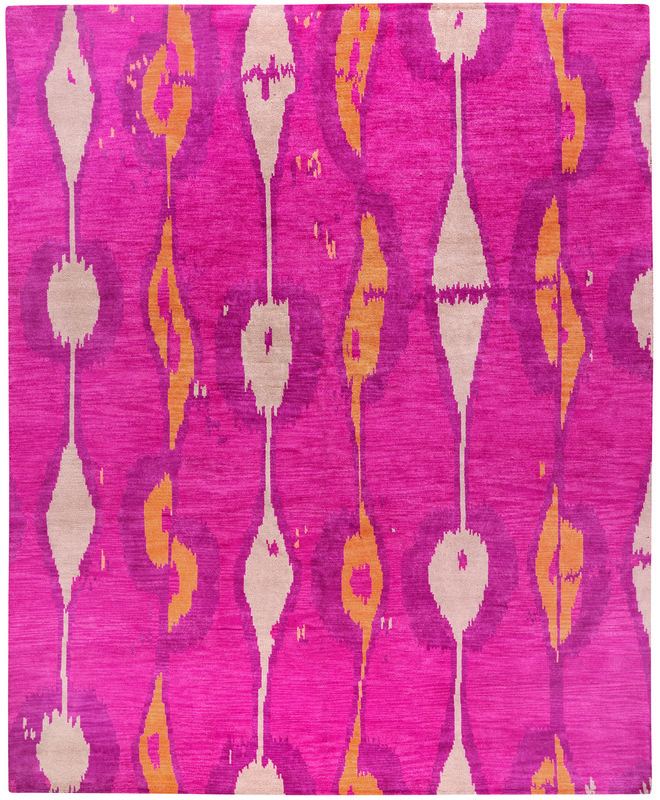 Hand crafted and knotted in India with meticulous care, the lustrous high mountain wool of the James Tufenkian Miri rug in Sunrise creates an exceptionally soft underfoot and the premium pile is of average thickness. 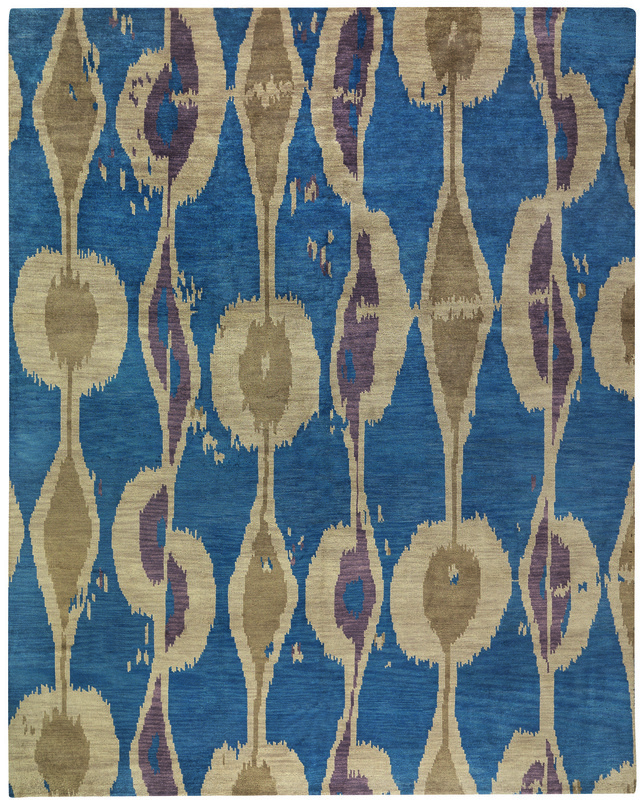 With beautiful unbleached and handspun wool, this transitional rug showcases a bold and stylish yet sophisticated ikat design. This rug has a shorter pile that provides a luxurious blanket feel, while the natural lanolin lends its resiliency to heavy use. The chic color palette and heavy striations lend gorgeous texture to this carpet.